As our Fort Myers personal injury attorneys frequently report, Florida is one of the few remaining states that has done nothing to prevent motorists from causing distracted driving accidents by either text messaging or talking on the phone while behind the wheel. As lawmakers convene in Tallahassee, we urge them to consider, at a minimum, enacting a law that would prohibit teenagers and new drivers from using hand-held cell phones while driving. The National Highway Traffic Safety Administration has labeled distracted driving an “epidemic” that leads to 5,000 deaths and 500,000 injuries each year in the United States. The USA Today reports that the Insurance Institute for Highway Safety is questioning whether hands-free laws or prohibitions against text messaging are effective. In part because an increasing body of research is suggesting hands-free devices are no safer, and in part because motorists may be attempting to hide their phones in their laps to avoid getting a ticket, and thereby taking their eyes off the road for a longer period of time. Yet there is no question distracted drivers frequently cause car accidents in Fort Myers, Cape Coral and throughout South Florida. We see it every day. A comprehensive and common sense approach is needed and we think addressing the issue of teen drivers and cell phones is a great place to start. U.S. Transportation Secretary Ray LaHood has recently deflected criticism that the department is ignoring other safety issues as a result of hyper-focusing on distracted driving. He points to recent initiatives dealing with better rear-visibility in vehicles, a new five-star rating system and a number of recent recalls. Most of those have been announced since the IIHS first made critical comments about the focus on distracted driving last year. He said distracted driving was linked to 10 percent of fatal crashes in 2005. That number increased to 16 percent in 2008 before leveling off last year. 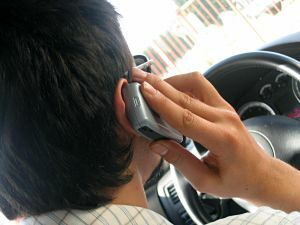 The department credits its initiatives and the work of states passing distracted driving laws.